We are on the road again! For the past year and a half we have been in Ireland on and off where I gave it one last go at playing Gaelic Football. As we came close to the end of the season, we started to think about where our next stop would be. It was an easy decision – we decided to return to Vietnam, a country we fell in love with in 2015. Vietnam is impressive; the people, the food, the landscapes, the culture and the high speed internet! It really does tick all the boxes for us as travelling nomad type people. As we were getting everything ready to leave, we remembered we needed to get visas. The last time round, we entered the country over land from Cambodia, so we got the visas sorted in a local office in Sihanoukville, prior to arrival. This time though, we would be flying to Da Nang. We would be on the tail end of an 22 hour journey via London And Ho Chi Minh City (Saigon) from Dublin. The last thing you want to be worrying about at that stage of your journey is where to get your visa. Not only that, but we had a connecting flight once we landed in Ho Chi Minh. Visa’s in Vietnam require more foresight than many of the countries we visit – fortunately we discovered an easy way to enter the country. I started my search for how to organise a visa prior to landing – a visa on arrival is literally exactly that! 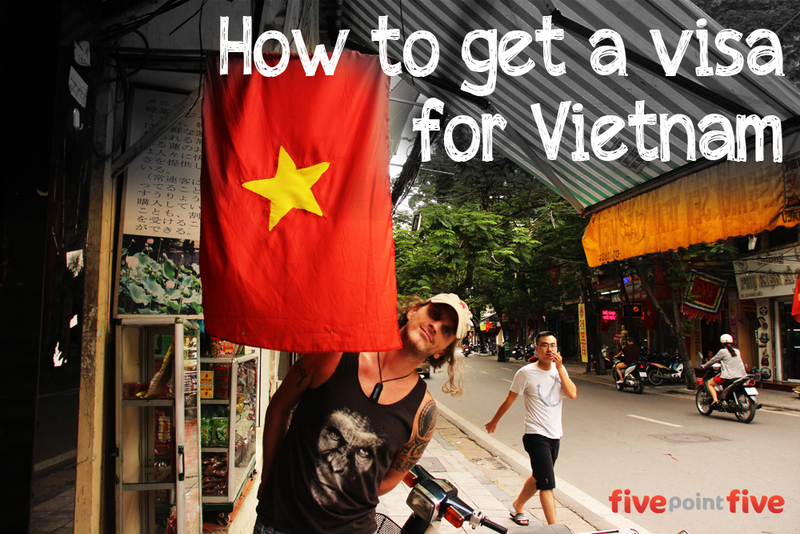 We were told that there were companies who will help you get a Vietnam visa on arrival for a small fee, fast tracking the process when you arrive at the airport. This sounded great. But when I began searching for which company to use, I was bombarded with multiple sites which all seemed very similar and some looked quite dodgy! It was hard to know what was official and genuine. Did I need to use the Government site directly? The more I looked the more questions I had, it just wasn’t straight forward. To smooth the way we contacted a friend we knew who lives in Vietnam and he recommended contacting Vietnam Visa Easy. Suddenly it was a whole lot easier. On the website you go through the usual information stage and make your payment. Then sit back and relax for a few days. Or pack, or work or drink some mojitos and dance salsa. Basically do anything you like apart from worry about your visa for Vietnam. A few days later we received an email confirmation. Don’t forget to print it all out! The email included our visa details as well as a few other documents highlighting what we needed to bring – including passport photos and the form we needed to fill out prior to entering the country. I advise you to print it all out before you leave. I forgot but was able to find a printer at the airport in Dublin… Phew! 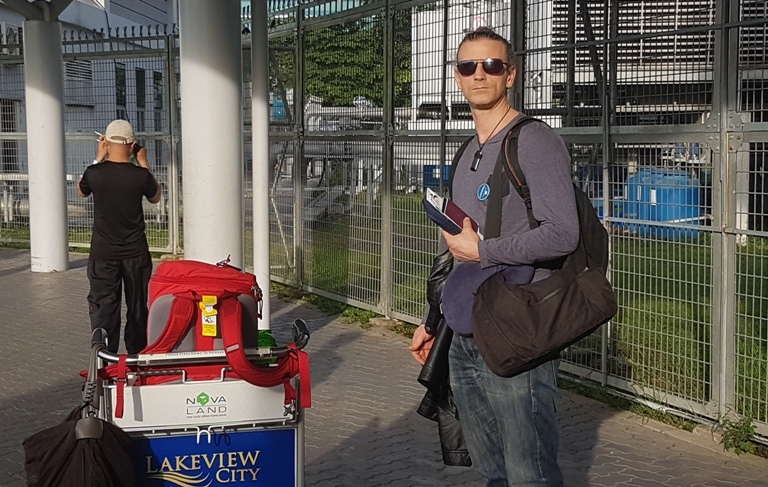 We arrived in Ho Chi Minh in the early hours of the morning and were rushing to get our connecting flight to Da Nang. We got off the plane and followed the crowd to the visa processing area and immigration. We took a sharp left to the visa counter where we made sure our forms were all filled out and then queued for a couple of minutes with everyone else. At the counter they took our passport photos, application form and printed copy of our visa. We then took a seat. At this stage of the morning there were about 40 people in front of us in the sitting area waiting. Tired and concerned faces were staring at the two visa officers who were overworked behind the counter. We were nervous about missing our flight as there were so many people ahead of us. We waited five minutes and the first two names were called out. At this rate with over 40 people we would not make our flight. Then, a minute later our names were called! As we went up to the counter we could feel the glares from our fellow travellers who were all there before us. We were jumping the queue… Tired after no sleep for 24 hours it was like winning the lottery! We skipped up, grabbed our visa’s and headed to immigration and customs. We bought an emergency takeaway Banh Mi (Vietnamese sandwich) in the domestic terminal to keep the hangry at bay, and just made it to our next flight as it was boarding. You can use this service if you are coming to Vietnam from Europe or Australia. If you want to get your Visa for Vietnam in New Zealand there is some special info there. With a Kiwi and Irish passport we are lucky to need very few visa’s and there is a lot of confusion about the Vietnamese visas even for experienced travellers. But using Vietnam Visa Easy it really was a piece of cake.